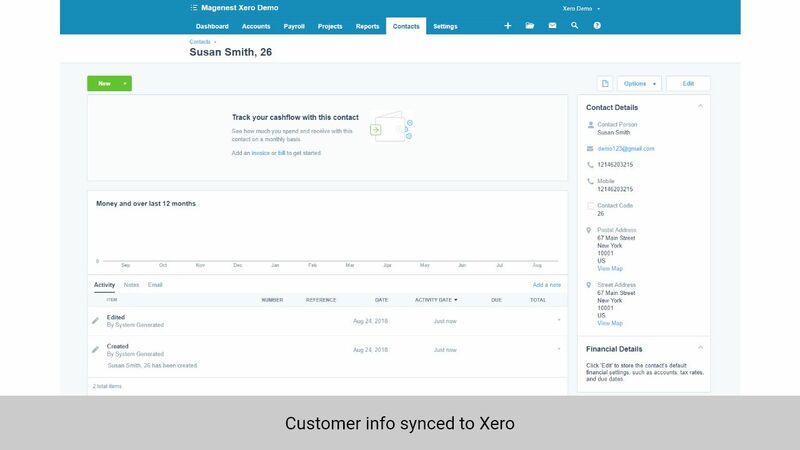 NOTE: Your current data in Xero might need to be remapped before syncing with our integration to avoid conflicts. 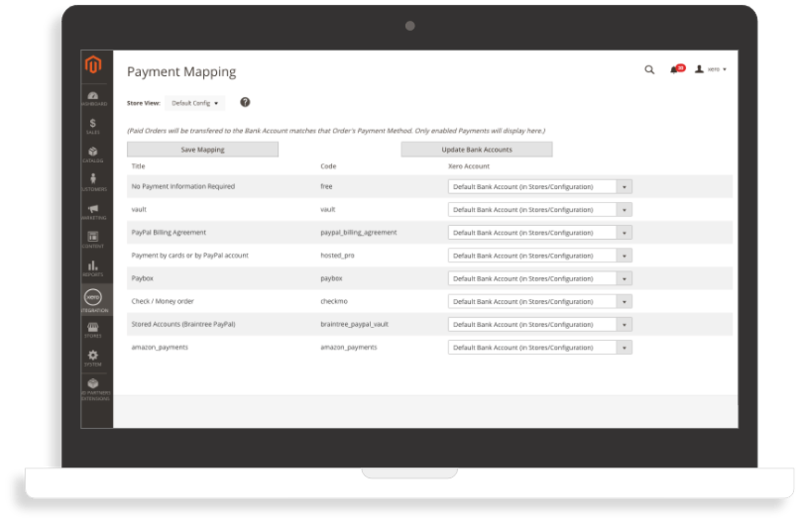 Please contact us if you want to map existing data in Magento 2 and Xero. 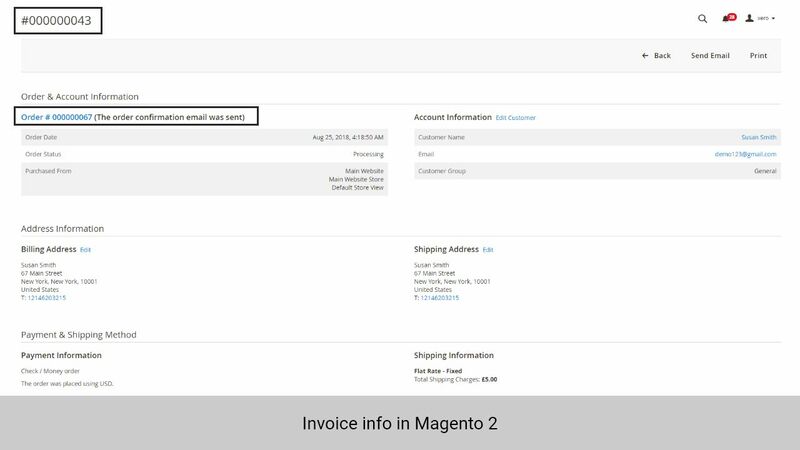 Track your online invoice from Magento 2 and easily run reports in Xero with ease. 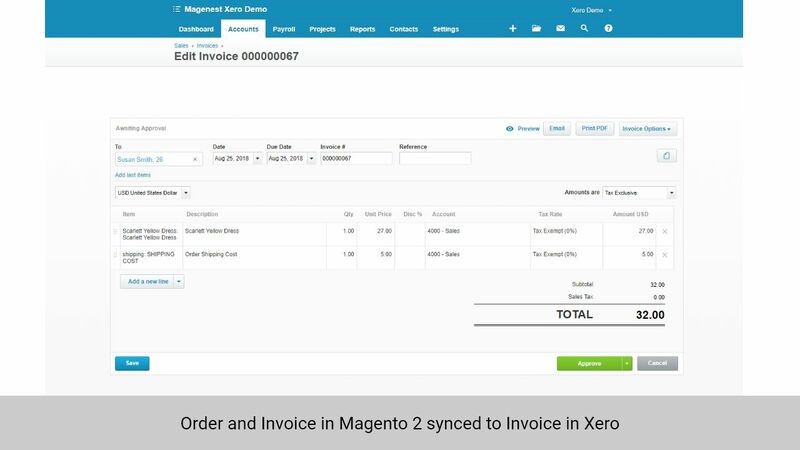 Your orders, invoices, customer information and product database are automatically synchronized from Magento 2 to your accounts in Xero immediately as changes occur. 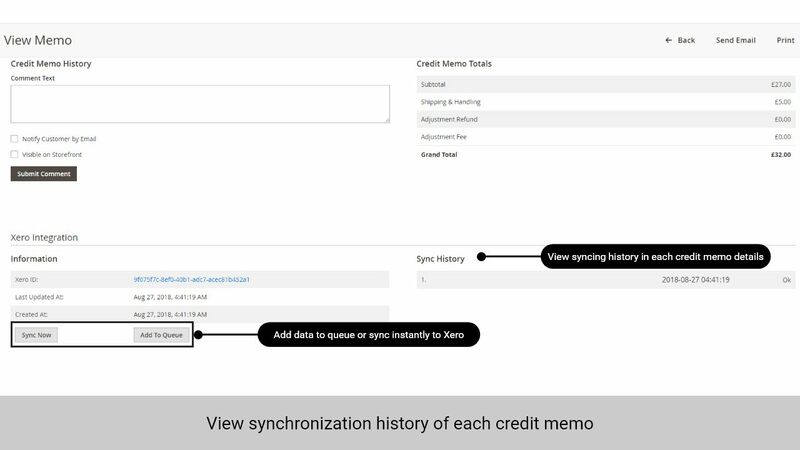 Your data will always be ahead. 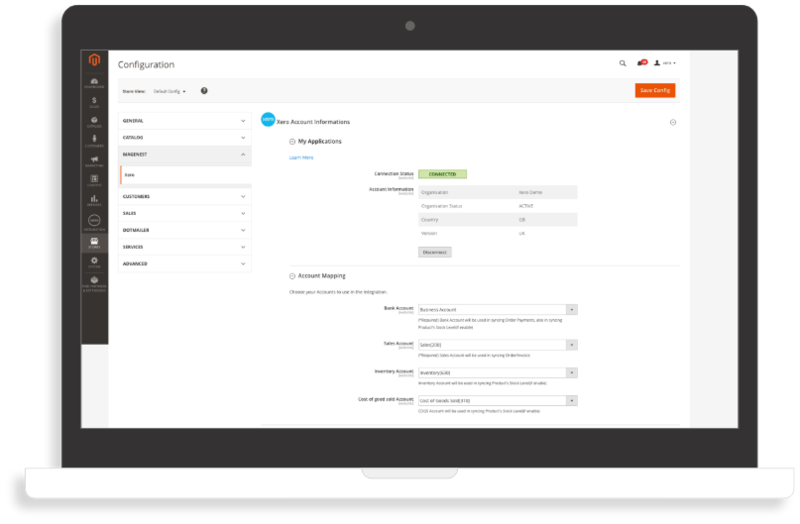 By keeping the database accurate at all time, merchants won't lose track of their customer base growth or suffer from inaccurate sales performance. 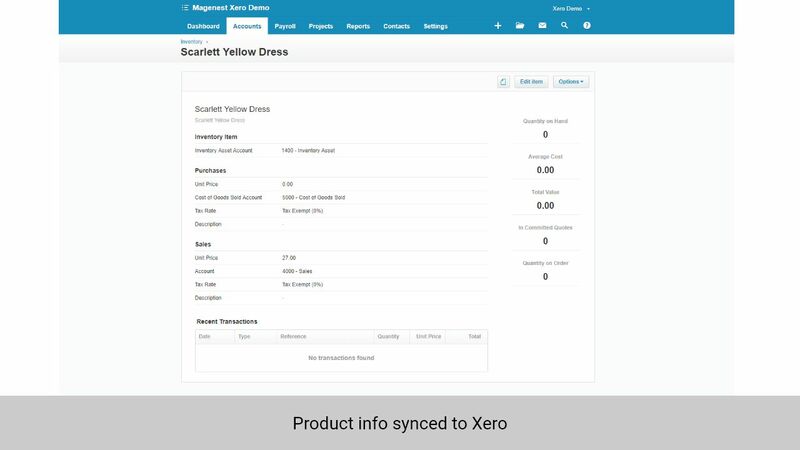 With Xero Integration, you can select all or chosen items and add them to queue. 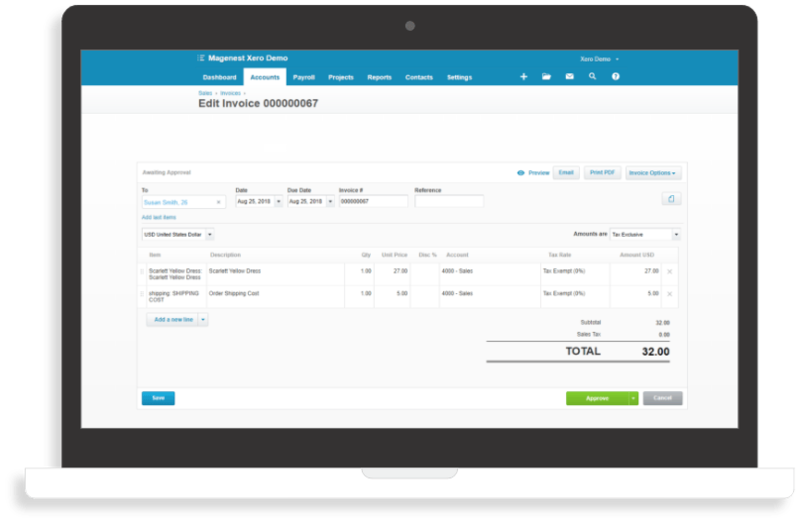 Taxation has long made accounting and invoicing process complicated. 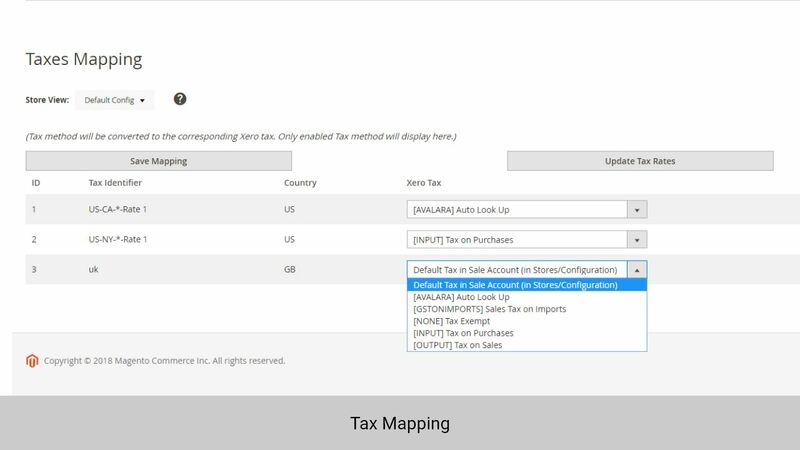 With tax code and payment mapping from Magento 2 to Xero, we can ensure tax calculation will be accurate. 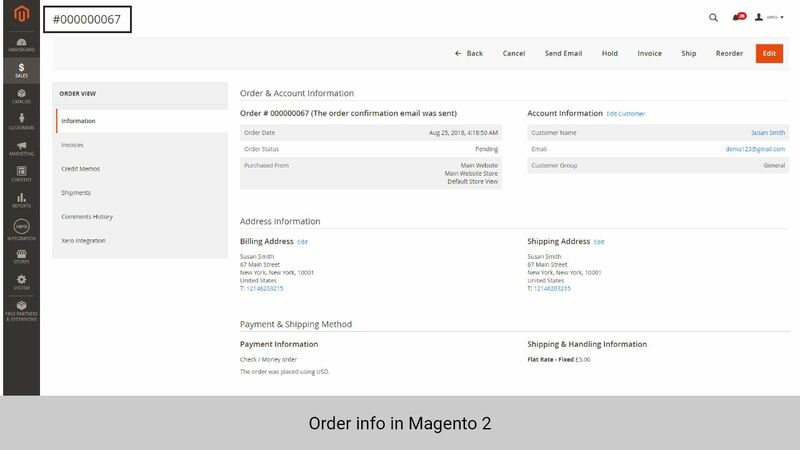 Support 9 payment methods: Paypal, Braintree, Bank transfer, Cash on Delivery, Paypal Billing Agreement, Authorize.net Direct Post, Braintree Paypal, Purchase order, and no payment methods. 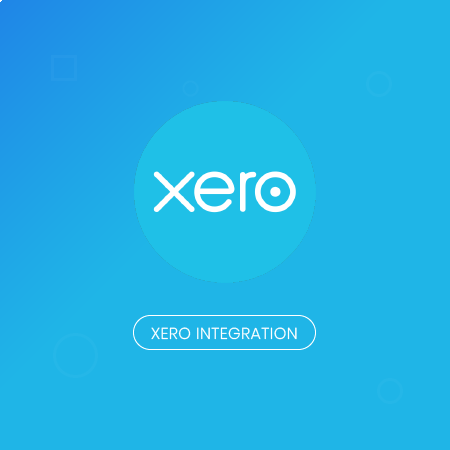 Set up your Xero integration in Magento 2 easily, all you need is an existing Xero account. 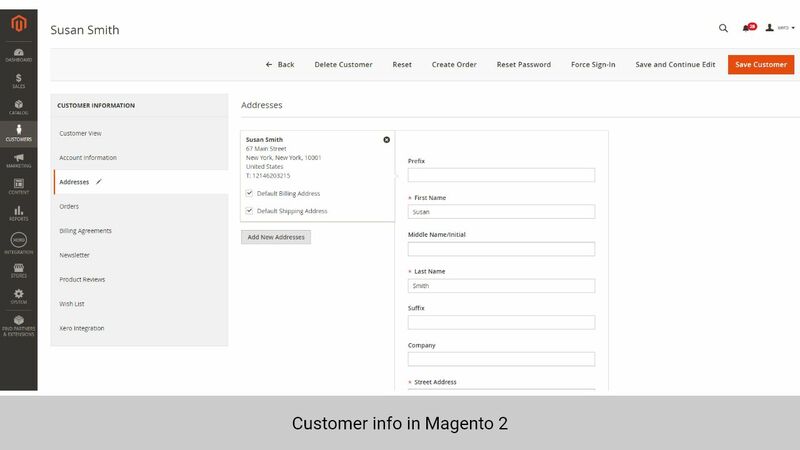 With your account, you can easily get your API key and input it in Magento 2 back end. 1. 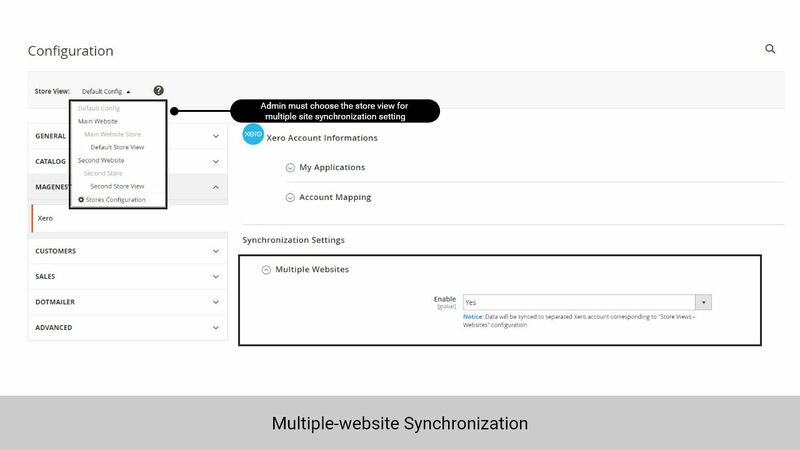 Add Multiple Websites Synchronization. 4. 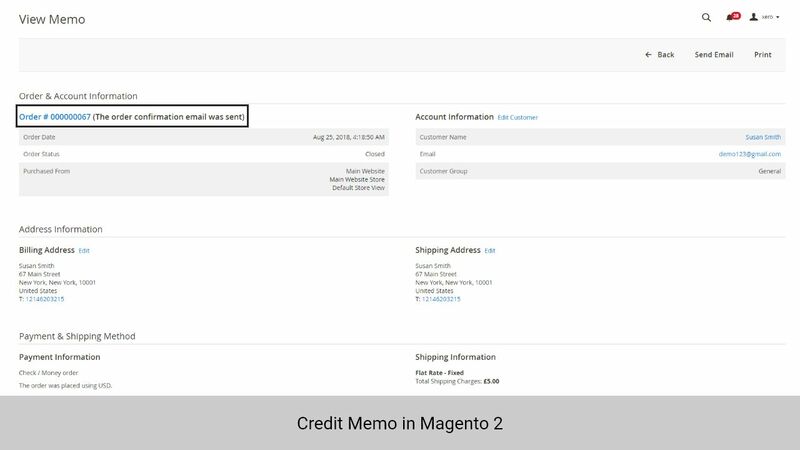 Add "Add To Queue" button in order, invoice, product, contact, creditmemo. 1. 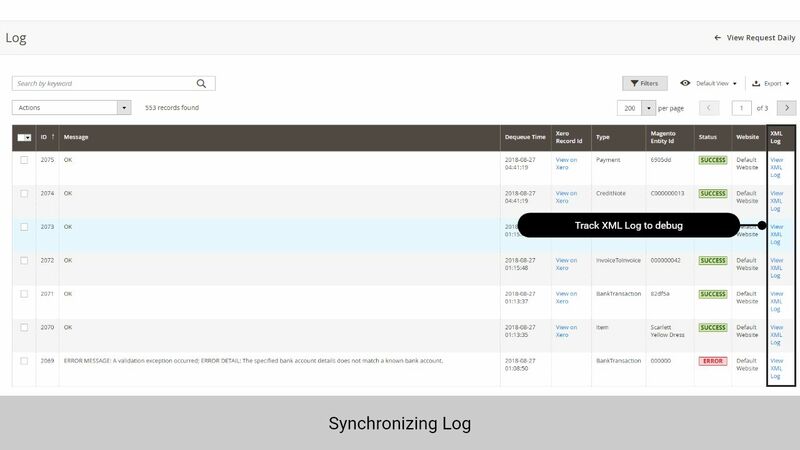 Now support Public Apps. 2. 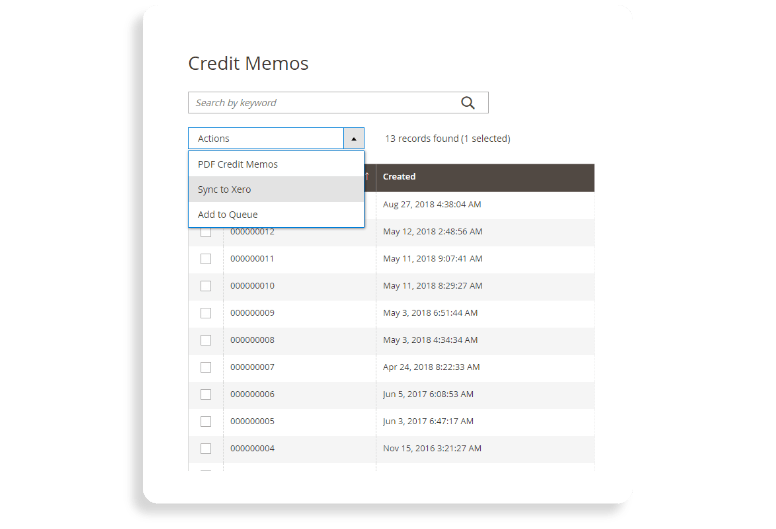 Private App Config is now easier with text area to enter public/private key pair. 3. 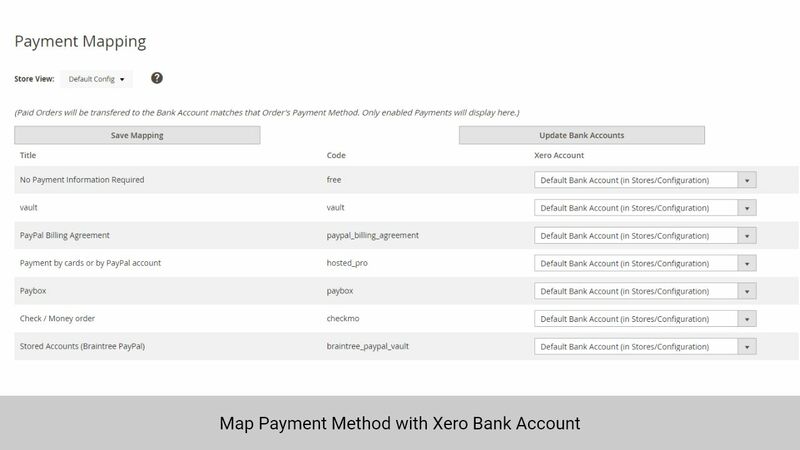 Account Mapping is now a selector instead of input text. 1. 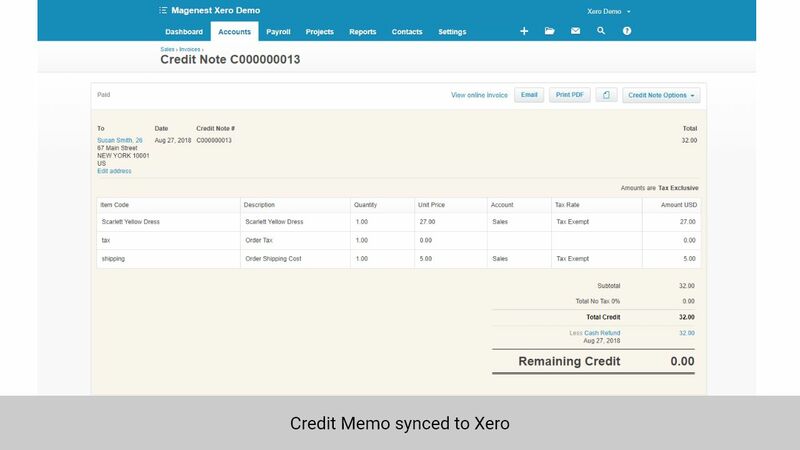 Allow synchronizing and updating Credit Memos from Magento 2 store into Xero. 2. 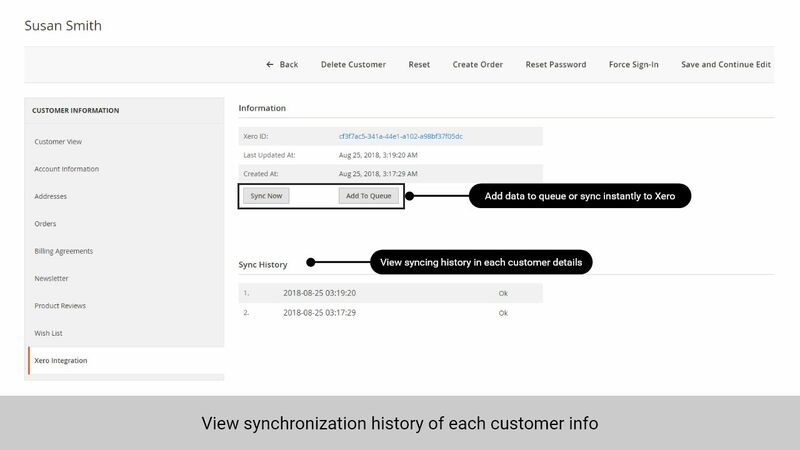 Allow see sync information and sync a single Customer. 3. 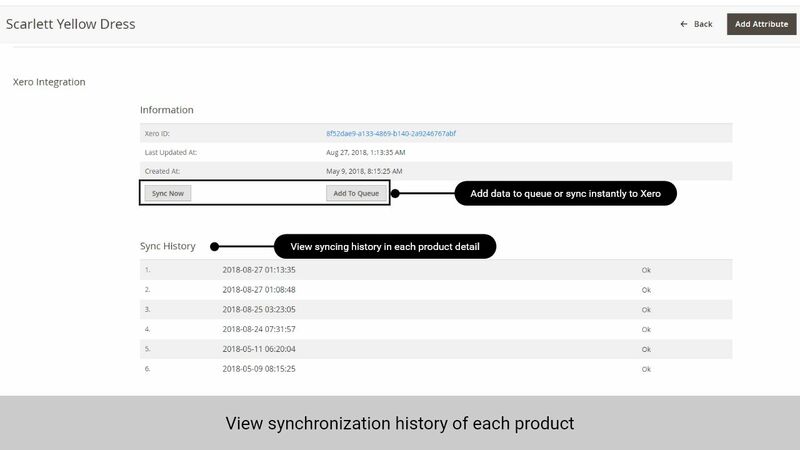 Allow see sync information and sync a single Product. 4. 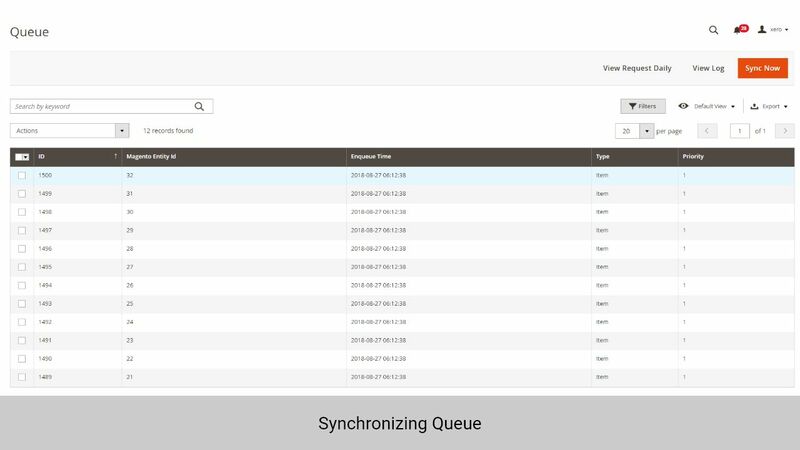 Allow see sync information and sync a single Order. 5. 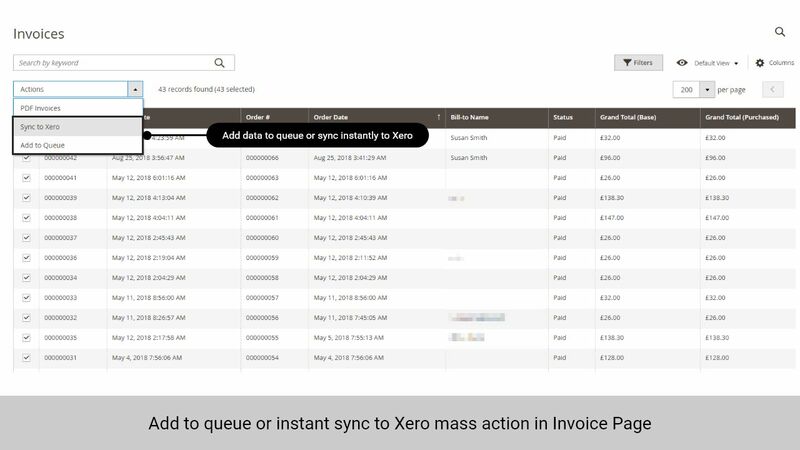 Allow see sync information and sync a single Invoice. 6. 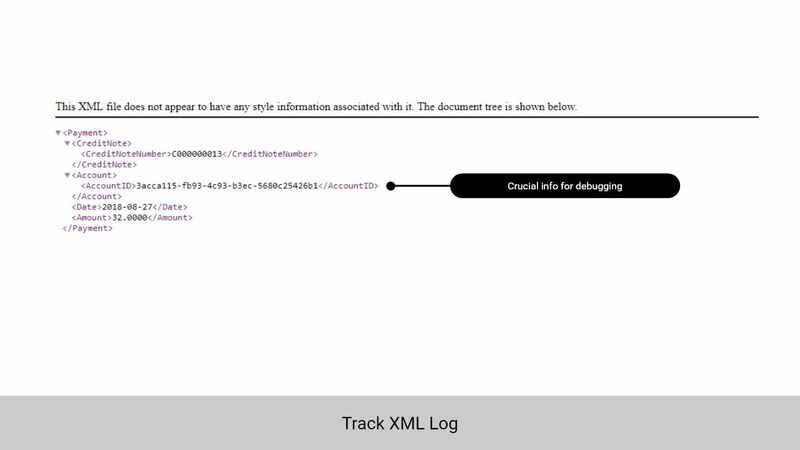 Allow checking report of daily requests. 7. 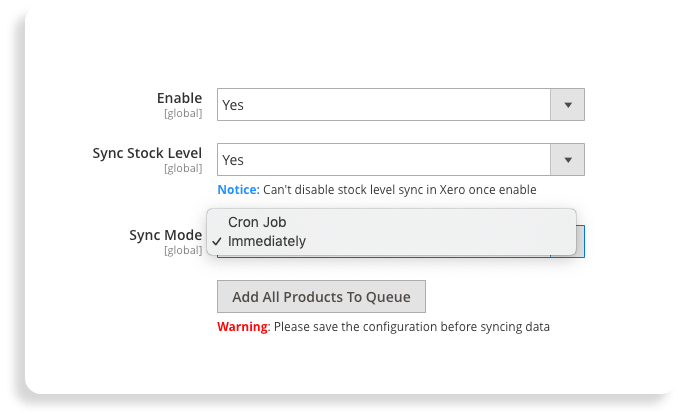 Allow setting Accounts in Xero. 8. 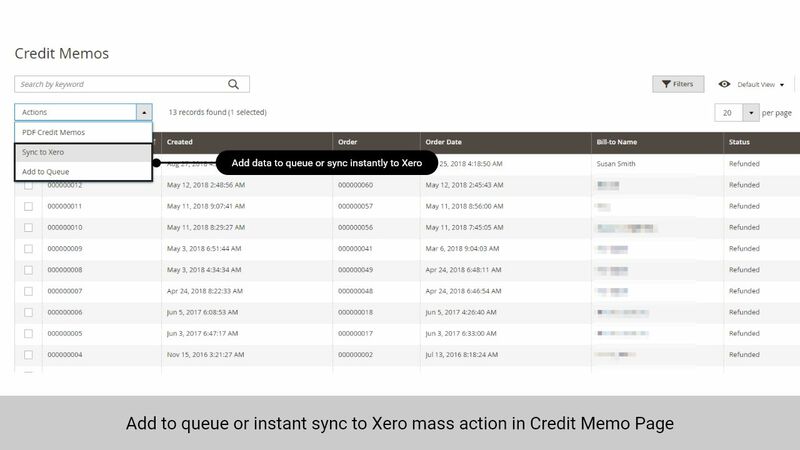 Allow add all Customers, Products, Orders, Invoices, Credit Memos to Queue. 1. 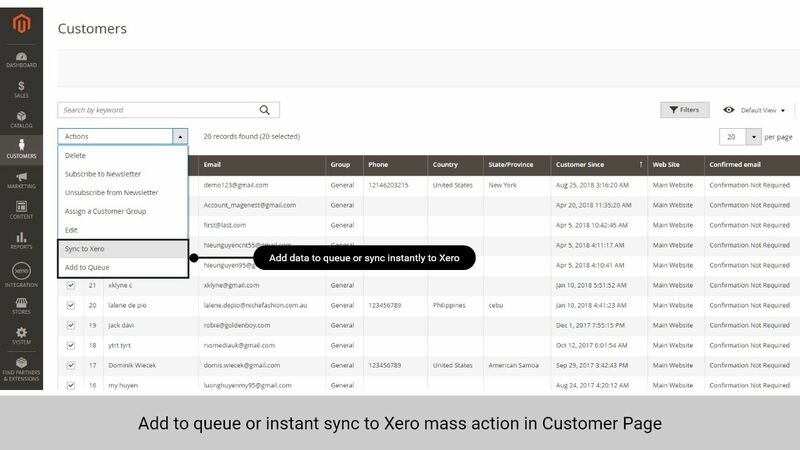 Allow synchronizing and updating Customers from Magento 2 store into Xero. 2. 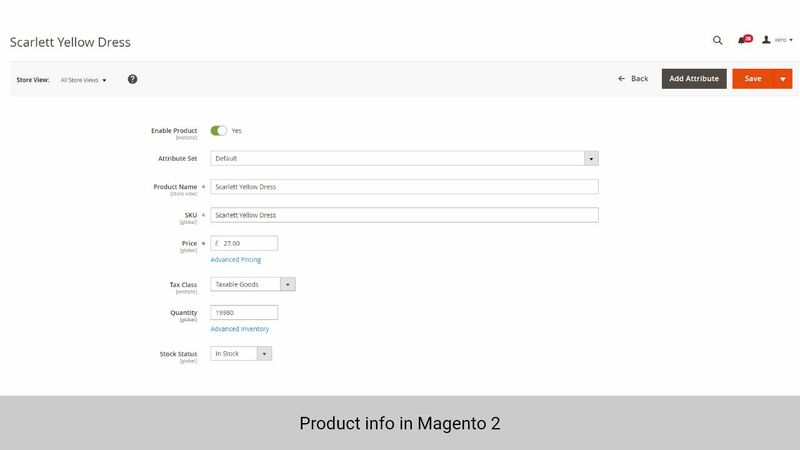 Allow synchronizing and updating Products from Magento 2 store into Xero. 3. 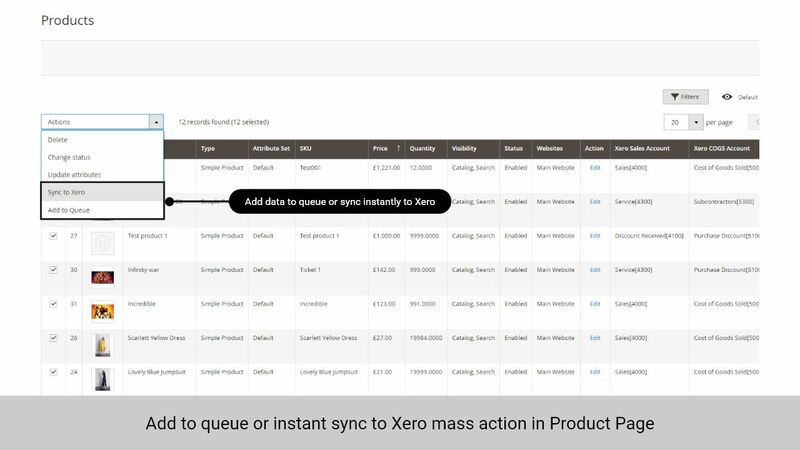 Allow synchronizing and updating Orders from Magento 2 store into Xero. 4. 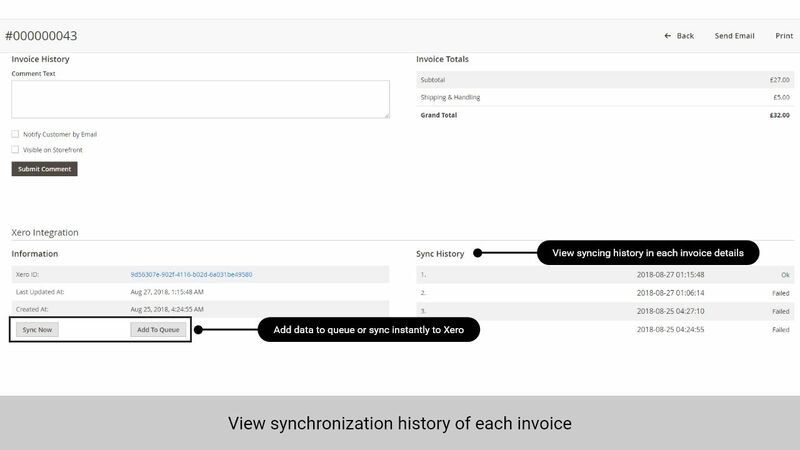 Allow synchronizing and updating Invoices from Magento 2 store into Xero.